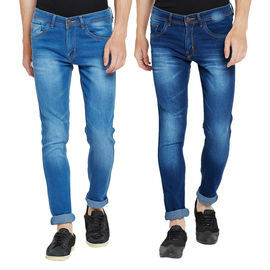 A pair of Dark Blue/Light Blue 5-pocket regular fit mid-rise jeans, lightly washed, has whiskers, a zip fly with a button closure, a waistband with belt loops. 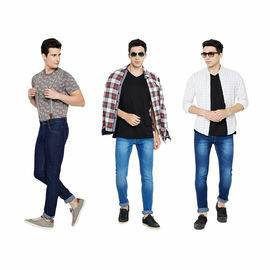 The article ages uniquely as you treat it, acquiring your personalized feel. 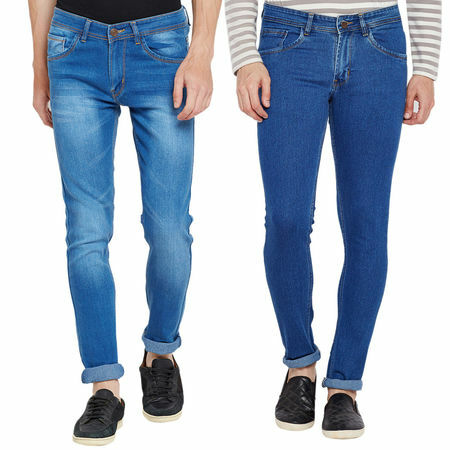 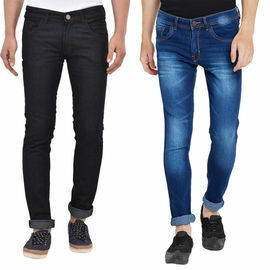 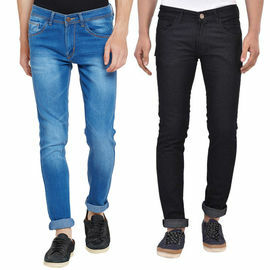 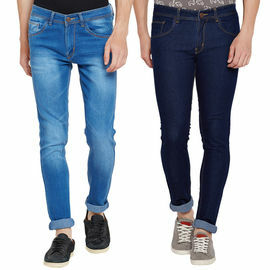 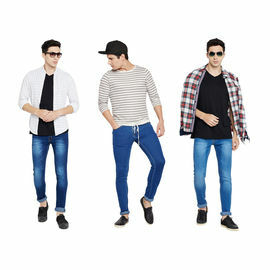 Step out in style with these stylish regular fit jeans from Stylox. 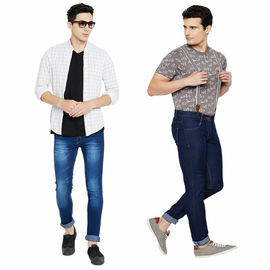 Team it up with a matching T-Shirt or a casual shirt to complete the look. 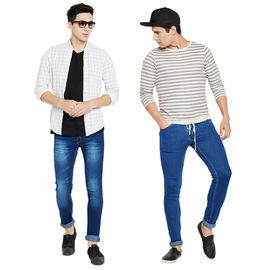 Disclaimer: Product Color May Slightly Vary Due To Photographic Lighting Sources Or Your Monitor Settings.